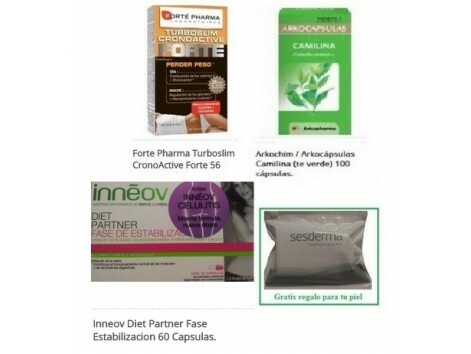 1 box Inneov Diet Partner Fase Shock 15 envelopes. 1- Box: Arkochim / Arkocápsulas Camilina (green tea) 100 capsules. It is a product based on fibers that swell to fill the stomach to 20% of a potent satiating effect. Konjac plant fibers. When you're on a diet, it whatsoever, your skin notices. Perhaps the changed your diet for weight loss often notice a change in skin elasticity. We want also have great skin for your dietary program's why we send this Pack a bag with an assortment Sesderma to also take care of the health of your skin. You succeed with your diet program, we hope to hear your opinion about products. Not recommended for pregnant or lactating. Adjusting to the recommended dose. Besides these products contain green tea in their composition which can have side effects or interactions with many medications. Pursuant to order them together 3 to facilitate the purchase. 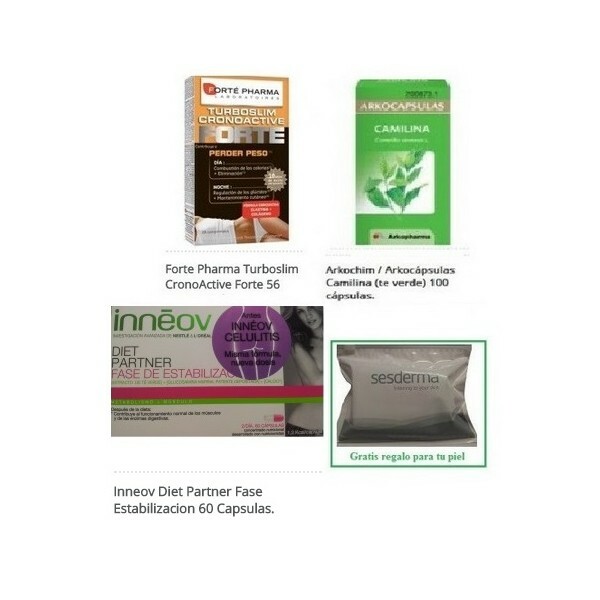 Inneov Diet Partner Stabilization Phase 60 capsules. Arkochim / Arkocápsulas Camilina (green tea) 100 capsules. Spain / Portugal: 48 hours.